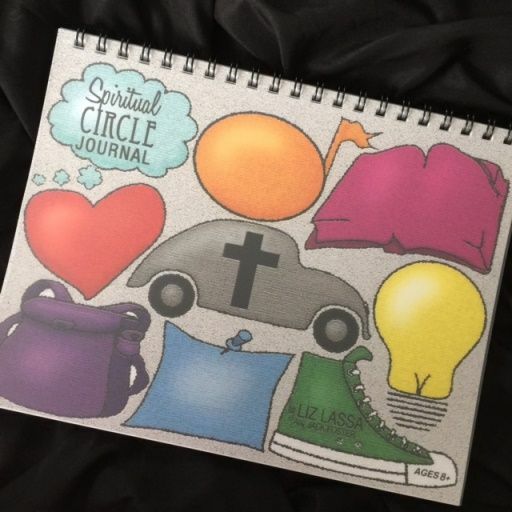 The Spiritual Circle Journal for Kids & Teens from Spiritual Circle Journal has been a real answer to that need in our family. It is recommended for children who can write on their own, around 8 years old, but I’ve been very successful using it with my five year old. The goal of this journal is to give kids clear direction on how to have a deep and fulfilling quiet time in about 15 minutes . . . It is a tool to help anyone, of any age, learn how to listen for and notice God’s teaching, guidance, and movement in their everyday lives. The journal is a fantastic way to get your children into the daily or weekly habit of spending quiet time with God. 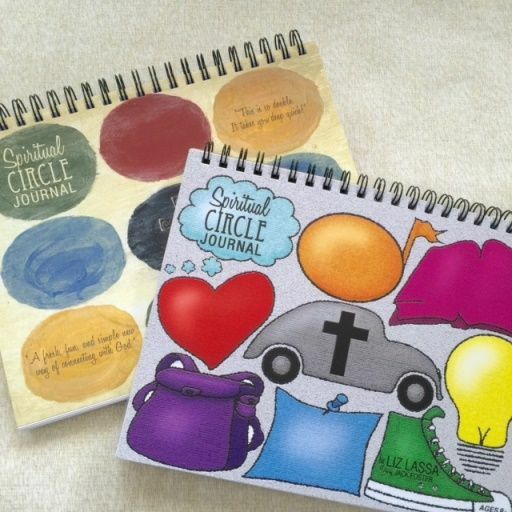 By filling in the nine journaling spaces, children learn to recognize God’s movement in their lives. Message (Bible) – what’s the most important thing learned this week from Bible reading/Sunday School/Sermon? Confession (heart) – what are you sorry for? God Moving (car) – how is God prompting/nudging you? Prayer (backpack) – anything you need God’s help with? Actions (shoe) – what does God want you to do for others? Something he wants to work in you? As you can see, the pictures cover a broad area of life for the children to consider how God is moving. Custom Cover – Children can make their own custom cover on the blank, thick, white page just behind the cover. Key – There’s a key in the front of the journal to remind the children (and you) what each pictures is for. Personal Page – This is a fun page where kid scan write information about themselves, such as favorite things, age, height, and include a pictures of themselves. Sumary Pages – At the back of the journal are 16 summary pages. 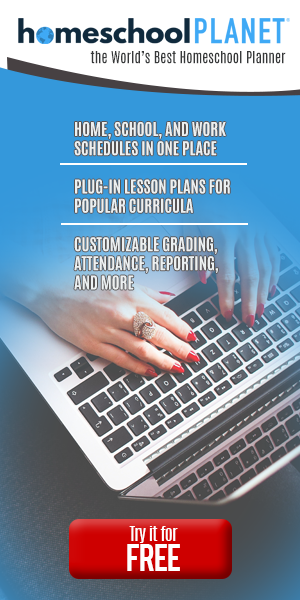 Collect lesson learned, favorite verses, God stories, best moments, etc. . . in those pages. Obviously, my five year old cannot fill his prayer journal out on his own. This has provided for some great one on one time with he and I. Once a week, usually on Monday, we sit down together and go through each of the pictures. Sometimes I write out his answers, but more often he draws his answers. He remembers what is in each box much more when he draws his answers compared to me just writing them out. I highly recommend the journal for children of all ages.